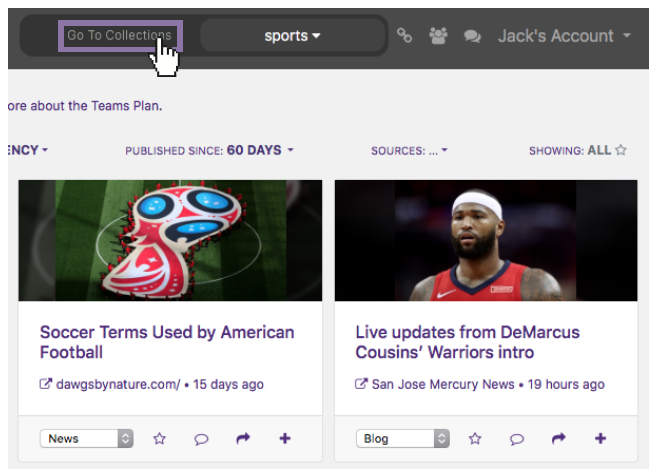 Create a new Collection to help organize and distribute the content you discover through UpContent or add from a third-party source. Note: The number of Collections available is determined by your UpContent plan. See the Pricing page for more information. To create a Collection, first click on “Go to Collections” at the top of your navigation bar. 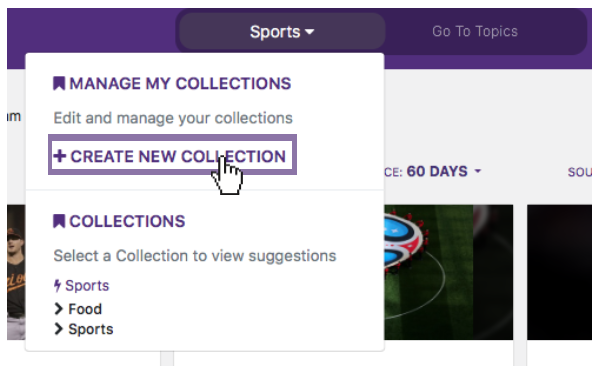 Then, click on the drop-down menu at the top or the “+ New Collection” button. 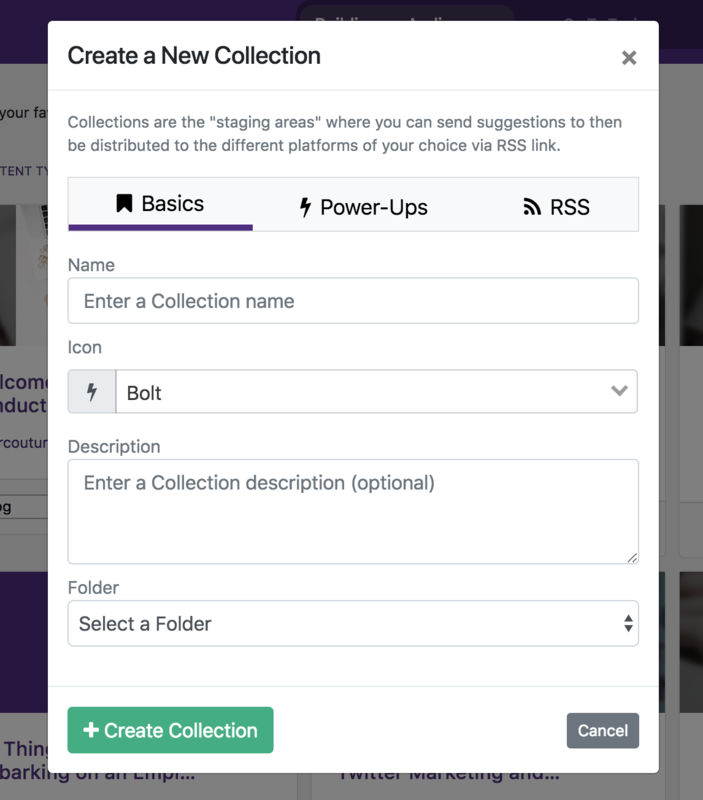 You can then name the Collection, select an icon from the library to help you remember the purpose of the Collection, choose a folder, and enter a short description (if desired). If you aren't looking to activate any of the Collection Power-Ups at this time, click "+ Create Collection" to complete the setup.